Maybe its because I am advancing in years passing my 48th birthday but I found the above statement revolutionary and freeing at the same time. Below is a discussion from Dave about the way he is working to resource the next generation. 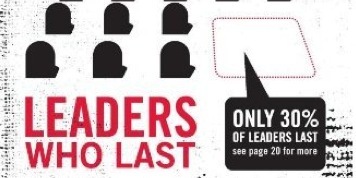 This includes his book Leaders Who Last (Re: Lit Books) & his website. Dave Kraft | Leaders Who Last from Canon Wired on Vimeo.